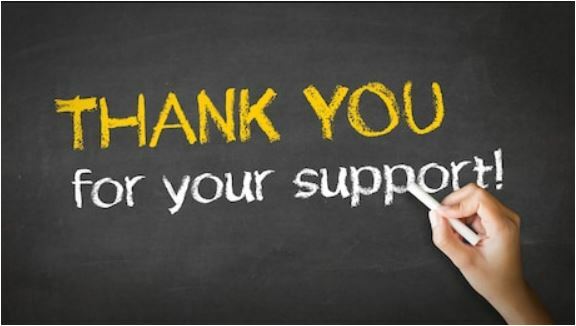 With the holiday season underway, we want to say thank you to all of the parents and community members who donate their time in support of our Silver Hawks. So many of our activities and events rely on volunteer support in order to operate and our community is second to none in terms of support for our students, teachers and coaches. From organizing meals, to helping move equipment and volunteering in our booster store, we are grateful for the help that we receive from our parents and community members. We know that being involved in so many ways also means sometimes having to manage situations that don't go exactly as planned. We do ask that everyone who works with our volunteers remembers that when things go awry, sometimes things are beyond their control for one reason or another and when that happens, please be kind, patient and respectful. Our volunteers are committed to doing the best they can to help ensure that everyone gets what they need and that everything goes according to plan. Thank you to everyone who gives their time for the good of Southwest. Term 3 is around the corner. Please have your student review their term 3 schedule and see the counselor if they are any problems. Holiday Hawks is an annual event for elementary aged kids held by LSW Key Club. Parents are encouraged to drop off their children at LSW for an afternoon (1:00-5:00 p.m.) of fun games, crafts, and movies. While the kids have fun with us, parents are able to go holiday shopping. A winter carnival of fun filled games for children and their families this night from 7:00 p.m. to 9:00 p.m on December 19. There will be snacks, various games and cookie decorating to name a few of the activities. Proceeds will go to the Angel Tree Christmas. More information about ParentVUE can be found on our school home page under 'Essentials'. We recognize that being the parent of a “Chromebook student” can be mystifying at times. While few students would sit and do worksheets all evening just for fun, it may be that your student does want to work on their Chromebook all evening. When they are staring at a device screen, it may be hard to distinguish homework from entertainment. This resource offers some information and strategies that parents may find helpful.